Gabriel | ReadyMount Strut Assemblies are an Exceptional Pre-assembled Strut Offering Safety, Handling and a Easy, One-Piece Installation. You get more with Gabriel® ReadyMount fully loaded struts. With our continued commitment to expand our Gabriel® premium ReadyMount® pre-assembled strut line, it has become one of the broadest available in the marketplace today. View the expanded Gabriel ReadyMount line. As a structural sub-system in the suspension/steering system of the vehicle, the strut module assembly requires the highest level of quality and performance to ensure vehicle safety and control. That’s why Gabriel goes the extra mile to give you more. This includes precision engineering, Component- and Unit-testing, and Fit- and Ride-testing every new design. 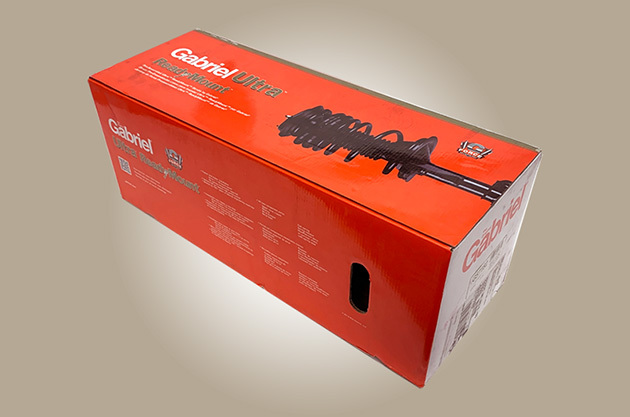 Click here for an overview of all that goes into Gabriel premium ReadyMount struts. 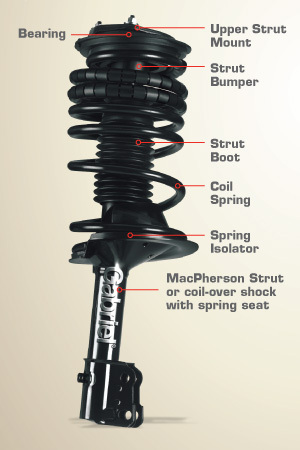 Each pre-assembled ReadyMount strut comes with the upper strut mount, strut bumper, strut boot, coil spring, spring seat and a premium strut featuring our advanced G-Force™ Technology, to provide the highest quality and performance. See all that goes into our new ReadyMount® strut designs and why they offer a level of incomparable performance and quality. DIYer or professional, our ReadyMount® provides you with all-new, premium components in a complete pre-assembled strut that’s easy to install, every time. Not all manufacturers test their assemblies and engineer their products to the same tight tolerances and precision specifications as Gabriel, but we believe it’s the right thing to do. You’d expect nothing less from the company that created the original automotive shock absorber in 1907 – and neither do we.